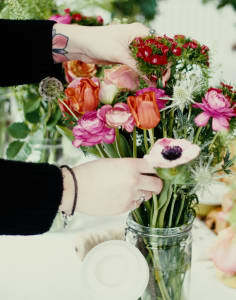 Lucy C Burton Flowers is a florist business based in East London's home of creativity - Hackney Wick. Working in the floristry industry since 2010, whilst working with some of the top florists in London, she really honed her skills whilst working her way up from work experience sweeping floors, to eventually managing a shop and running weddings and events. Lucy always chooses the freshest most seasonal flowers available. 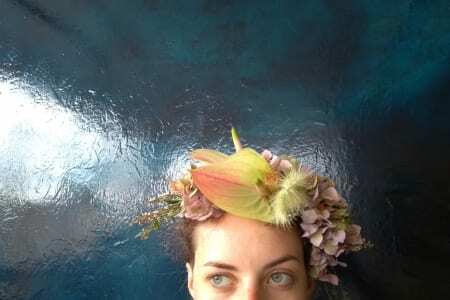 Her style incorporates different colours and textures of foliage (As someone once told her ' You're a true florist when you can appreciate foliage almost more than flowers') - A philosophy Lucy has always stood by. Her style of bouquet has been described as wild and natural with an edge. Lucy likes to share every inch of knowledge she has learnt over the years and always welcomes questions and discussion about flower care and hints and tips regarding buying the best flowers, keeping them fresh and composition of colours and style. 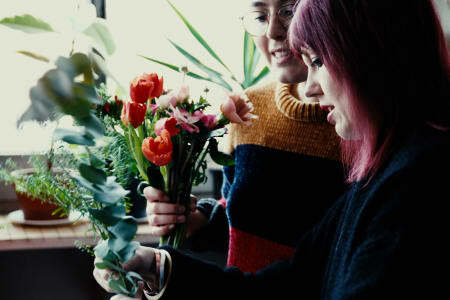 Lucy C Burton Flower's offer a wide range of different courses, taking place mainly at a local ambient bar called Pearl, Hackney Wick, where the feel is very much relax, unwind, and make something beautiful. The floral workshop was totally five star. Great choice of flowers and excellent teaching and encouragement from Lucy. Relaxed and fun time and we came away with beautiful crowns. Great fun. A true pro! Such a talented florist. I learnt so much and was really proud of what I made. Friendly, informative and fun!! Lucy is a great teacher! She is creative, patient and encouraging.Beautiful selection of flowers and great venue. Great to do with a group of friends or go along and meet some new ones! Had a fabulous time and would definitely recommend. Lucy is a great teacher and very knowledgeable. The whole experience was well worth the money. I would definitely recommend it - would make a great night out. We had such a great time on Lucy's workshop - the flowers were stunning! Excellent workshop! Lucy is a lovely teacher and the flowers were gorgeous. Highly recommended . A lovely work shop, where we produced a beautiful, wild english flower bouquet. Thanks Lucy! Lucy is such a great teacher, super patient and I couldn't believe how many flowers I had! Really knowledgeable, answered my endless Q's and I walked away with the most beautiful blooms. Thank you! Highly recommend this. I really enjoyed this workshop with Lucy! The flowers she chose were beautiful and her explanations were really clear & helpful. She helped sort out my bouquet when I'd made a bit of a mess of it, and I feel so happy to have come away from a really enjoyable evening with a new skill.